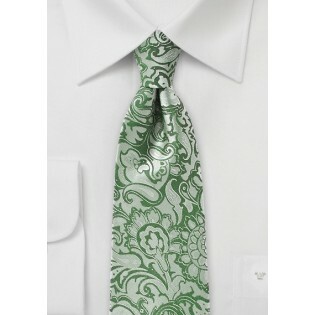 Take advantage of this capricious situation and procure this paisley mens tie in light cactus green. 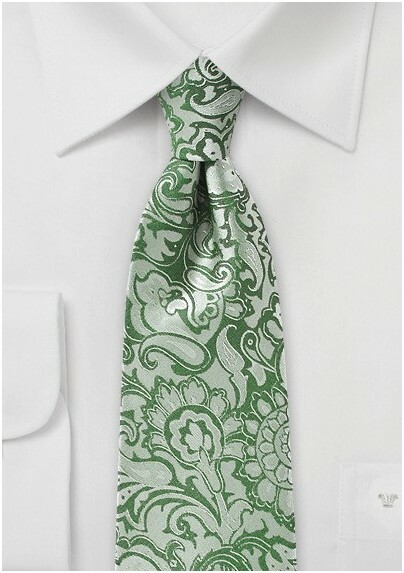 The dynamic paisley print and lively green coloring make for the perfect tie option to spice up your look. Wear it with some black pants and a light blue shirt, and you will be on the fast track toward most fashionable. Whether your celebrating a big life event, or just adding to your neck wear collection, you won't be disappointed with what this item brings to the table.